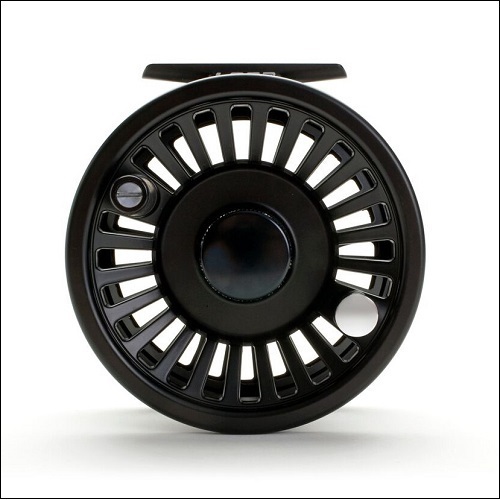 LOOP have always been known for designing high quality fly reels. With this uppermost in our minds, when we set out to create a series of die-cast reels we were fully aware they would have to be built to the same exacting standards as our other great reels. In other words, they had to be completely waterproof and offer the same Power Matrix Drag System incorporated in our other machined reels. When other manufacturers began copying our design, we knew we had accomplished our goal. The internal workings of the new Multi Fly Reel range are of the highest standard in their price class offering functionality and a lifetime of dependable service for a highly competitive price point. The counter balance incorporates a leader holderReset drag knob, so it does not catch fly line. Conical shaped rubber handle that allows fly line to easily slip off and not get tangled in.Outgoing click.